My swimming pool tests showed me a couple important items to take care of. 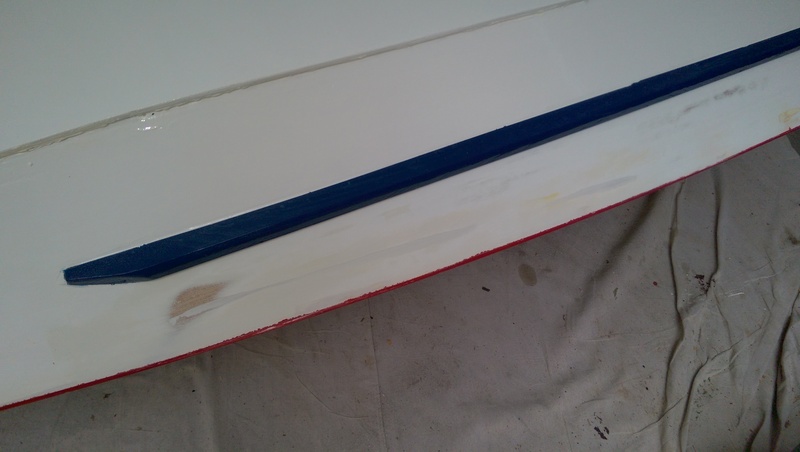 First, the easy one… there were some areas along the transom that were not completely watertight, so a bit of water was seeping in. I did some caulking, and I suspect the issue is taken care of. 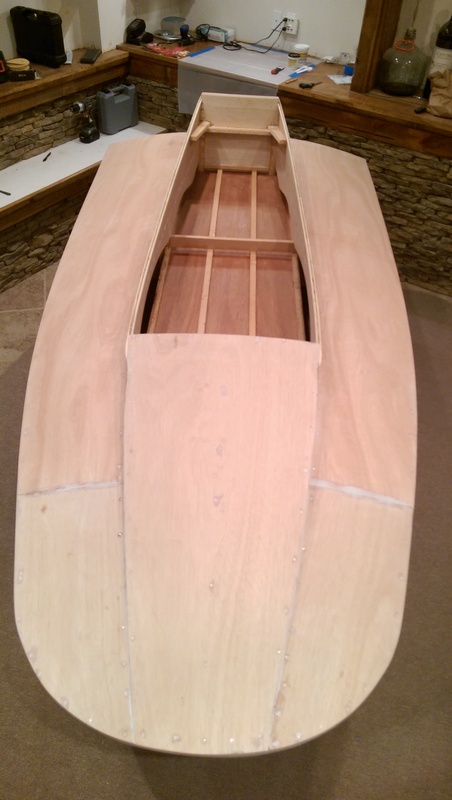 The next steps in assembly are to install the cowl and the decks. 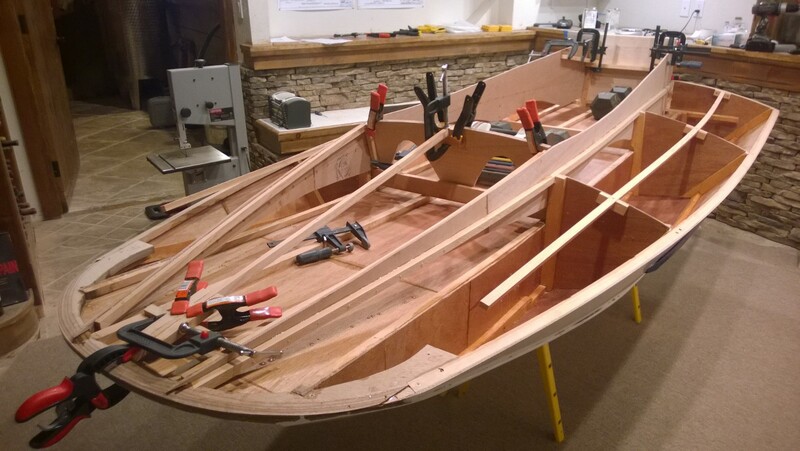 This is a little tricky, as these parts are not cut to a pattern, but rather are cut to fit the individual boat. 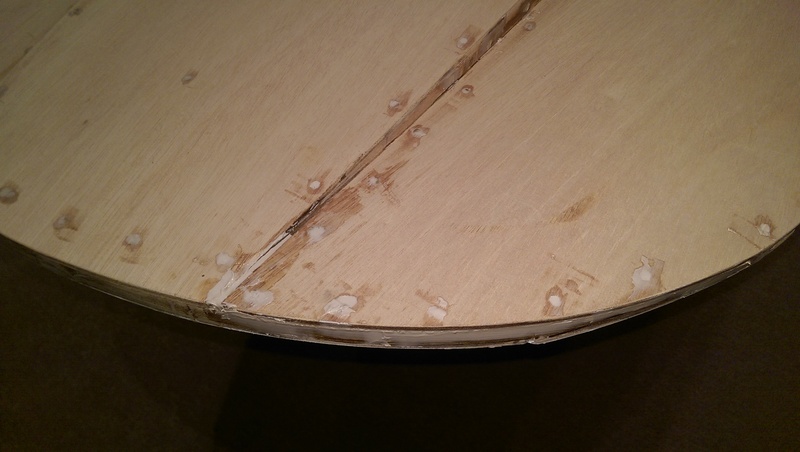 Not too difficult, really, just cut everything a little too big then do lots of trimming and sanding. Here are some shots of the cowl being installed, using a combination of clamps (where possible) and my trusty dumbbells (where clamps will not reach). Now it’s time to do the decks. This was a little more challenging, for a couple reasons. 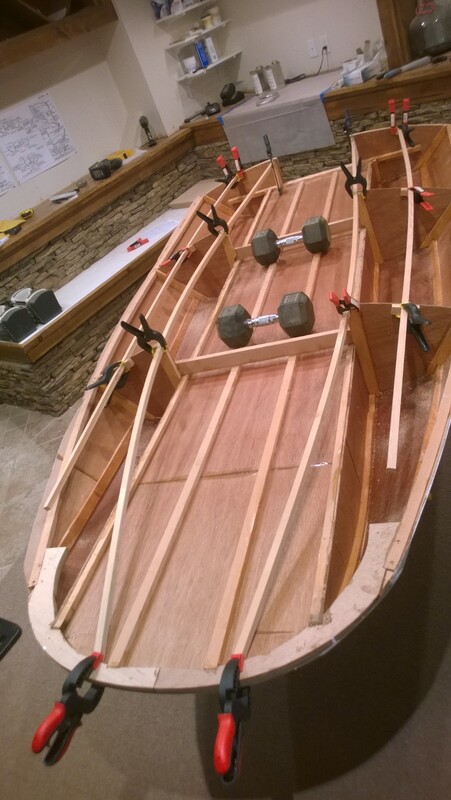 First, the decks are large pieces, and a screw-up requires a trip to the lumber store, and re-scarffing some ten foot pieces. So I was a little nervous. 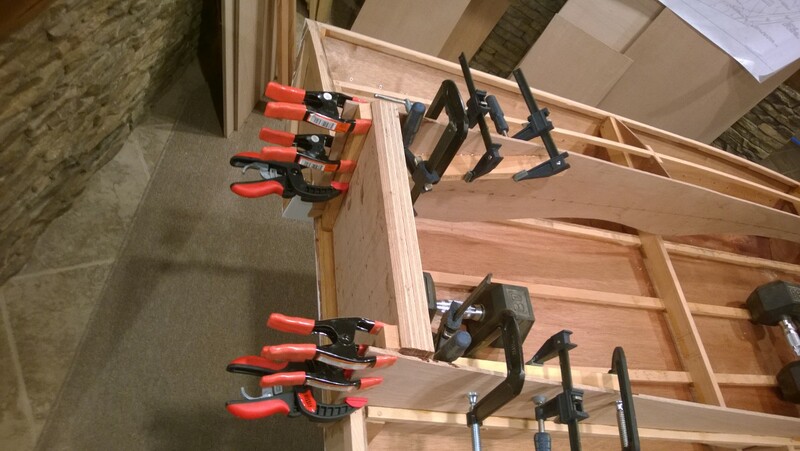 Second, there is really no place to clamp the assembly while gluing. 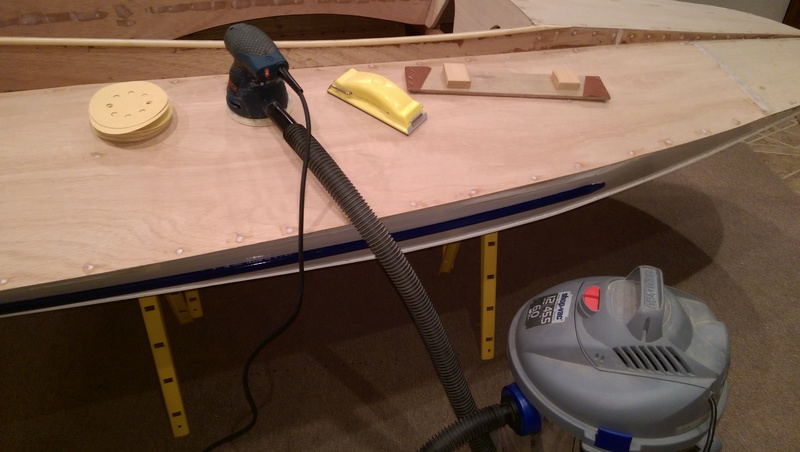 After lots of trimming and sanding, I was able to attach the decks to the hull with a handful of screws. 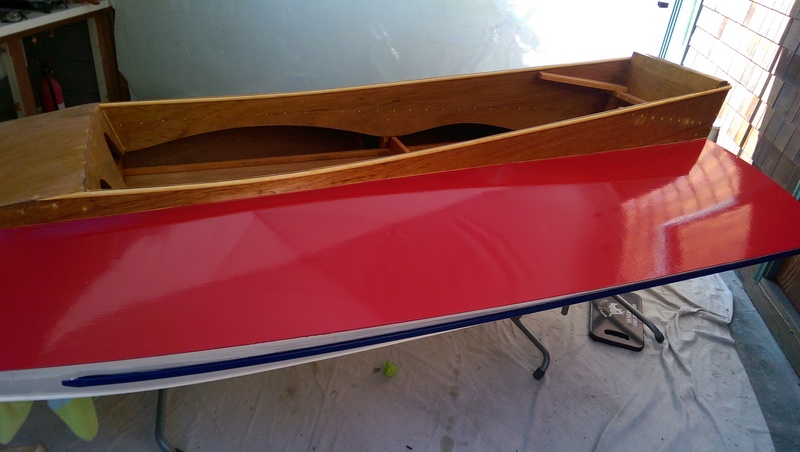 I then removed the screws, took off the decks, applied epoxy to the frames and battens, put the decks back on, put the screws back in, then drove in nails every few inches. 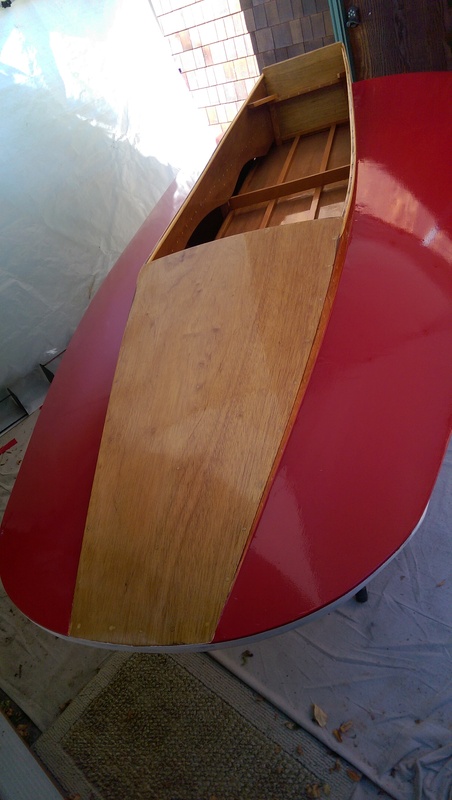 All the while, hustling to get done before the epoxy cured! Now, if you look closely, you can see that the decks are overhanging a bit. My thinking was, better too big than too little! 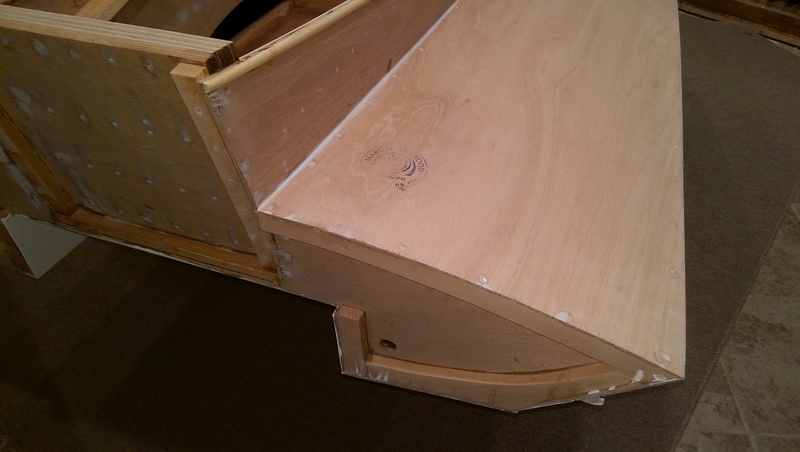 The price to pay for this conservative approach was a few hours of planing and sanding, to bring everything into alignment with the tunnel side panels. Got that out of the way, now she is looking almost complete! 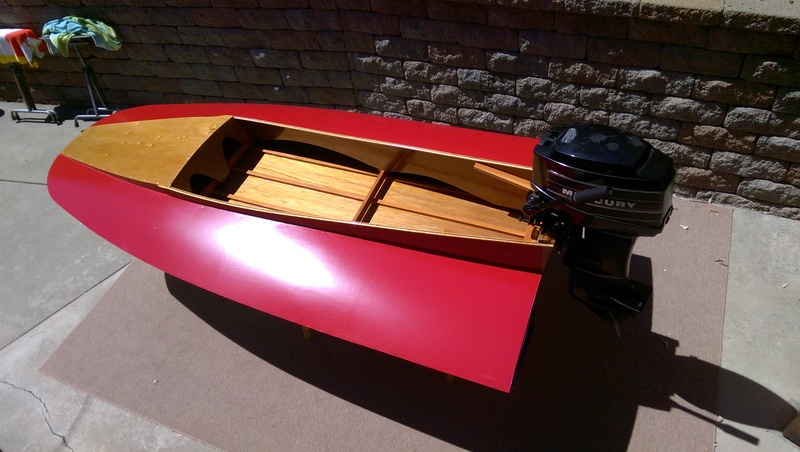 A little trim, a little paint, and a motor, and she will be ready to launch if there is any water in the lakes this spring! 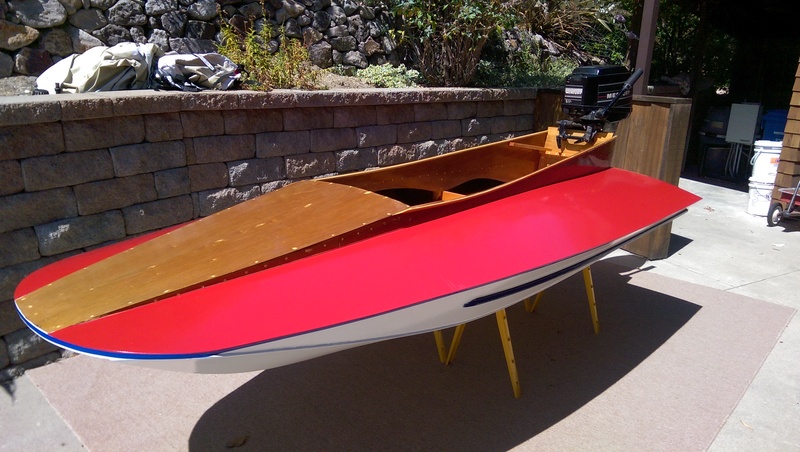 This entry was posted in Boats on November 20, 2014 by John Beekley. 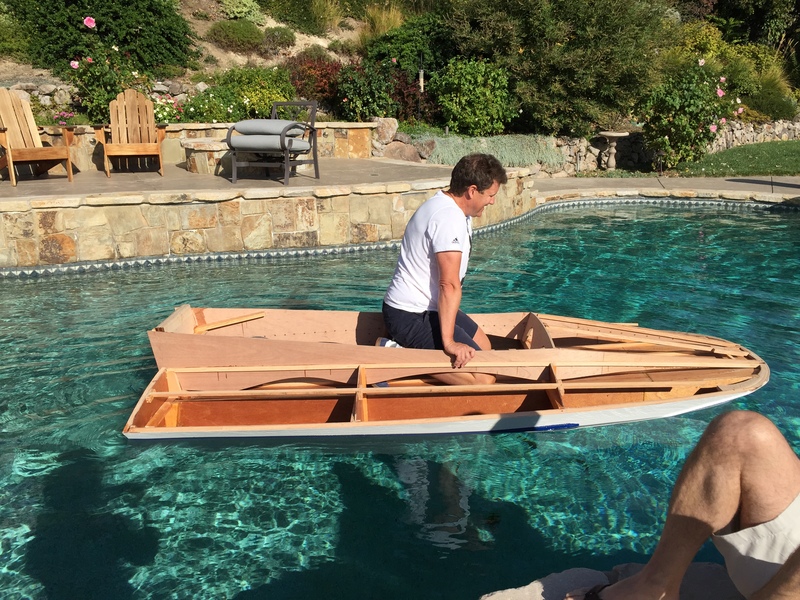 Well, I have discovered that summertime is not a great time to be building a boat. There is just too much stuff going on, between depositing various kids at various colleges, taking vacations, enjoying the nice weather, etc. 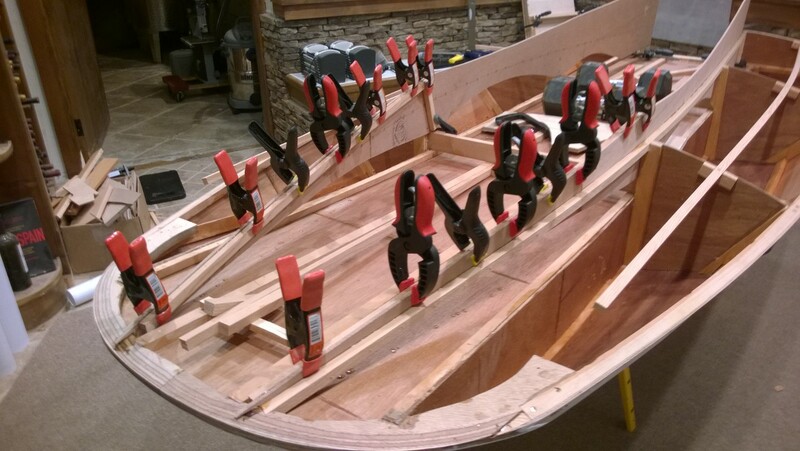 Consequently, work on the boat stopped in June, and did not resume until about a week or so ago. But, the good news is, work HAS resumed! Last time I posted, I had just flipped the boat. So, this means it is time to work on the topside. 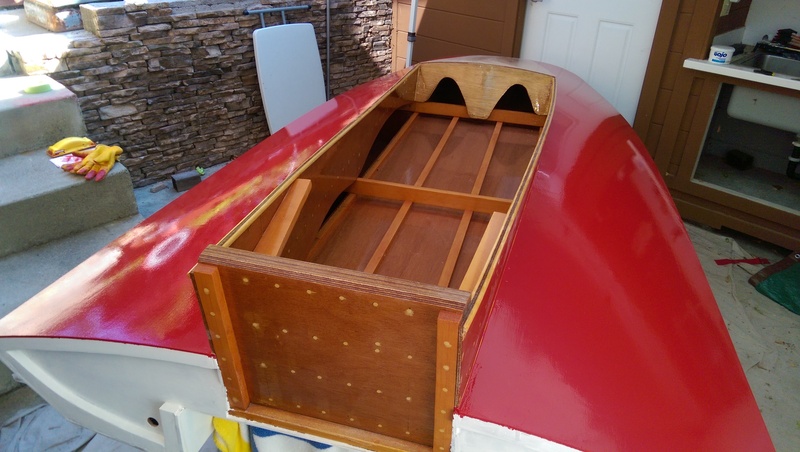 The first step was to install what is known as the carling, which is the support frame member that supports the deck where it meets the cockpit. 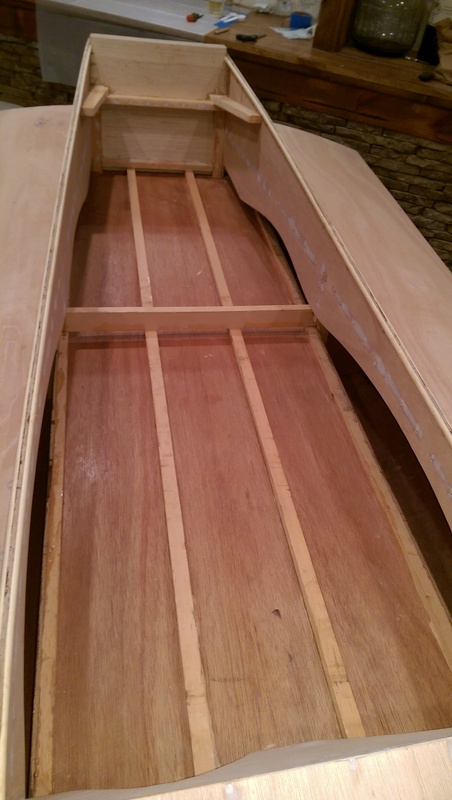 At roughly the same time, I installed the deck battens. 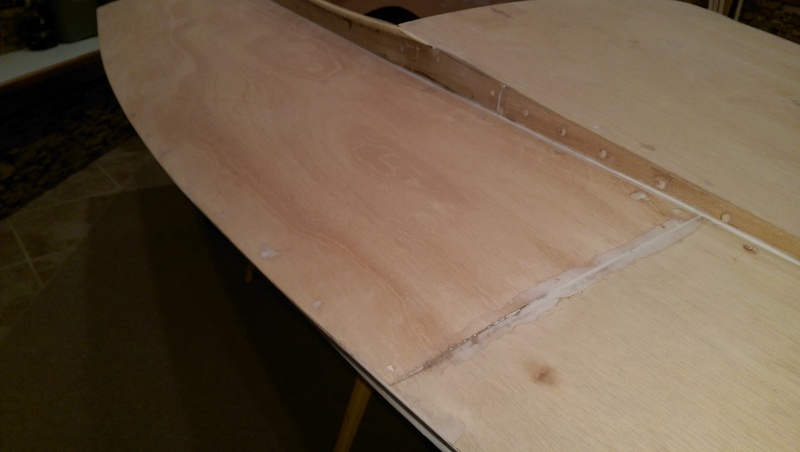 These are frame members that support the deck itself, which is very thin plywood. 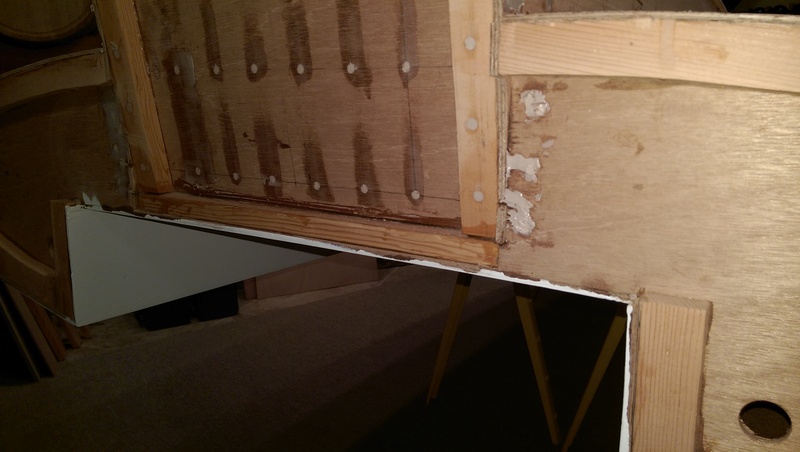 The picture below shown the carlings and battens clamped in place, testing that they fit properly before attaching them permanently. In between work sessions, there was a car show in Danville. 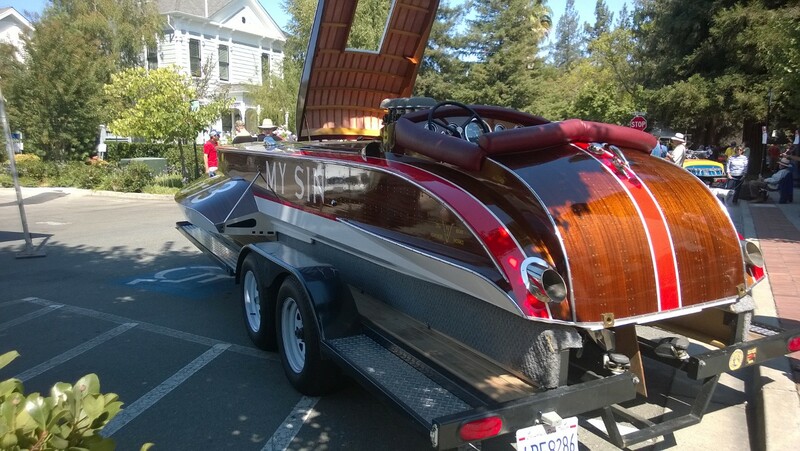 I rode my bike through on the way to the grocery store, and discovered there were a few boats, too. 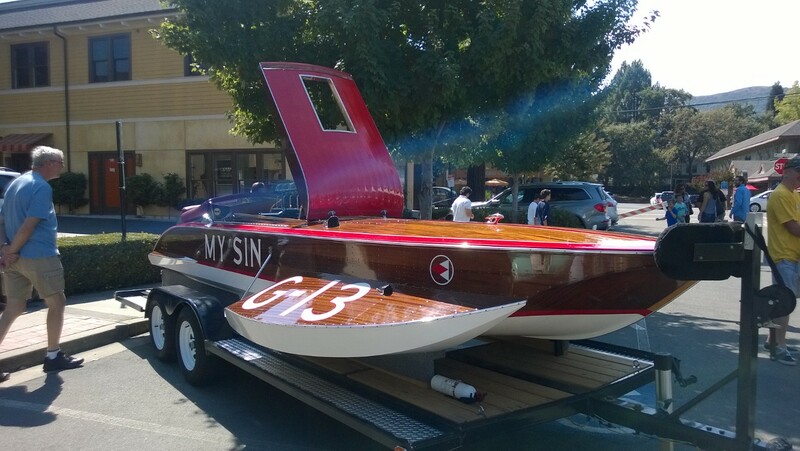 The most inspiring one was My Sin, a 1938 Ventnor Hydro, very similar to my grandfather’s Juno. My Sin got me inspired, and made me eager to get back to work. 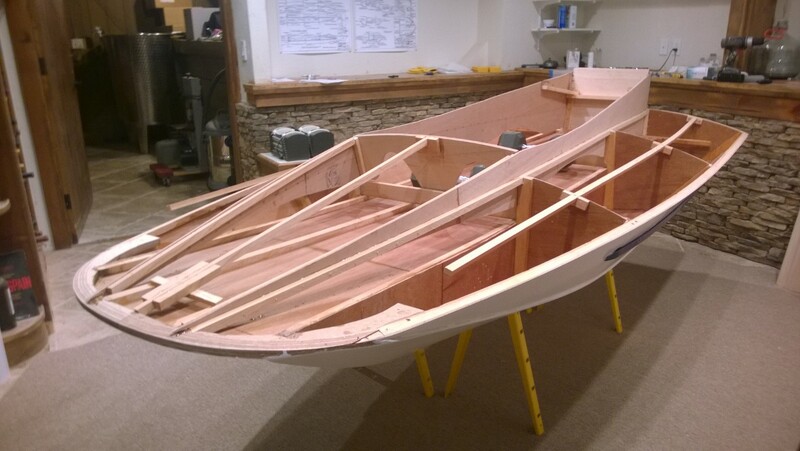 Now that the framing is essentially complete, it is time to install the coaming. 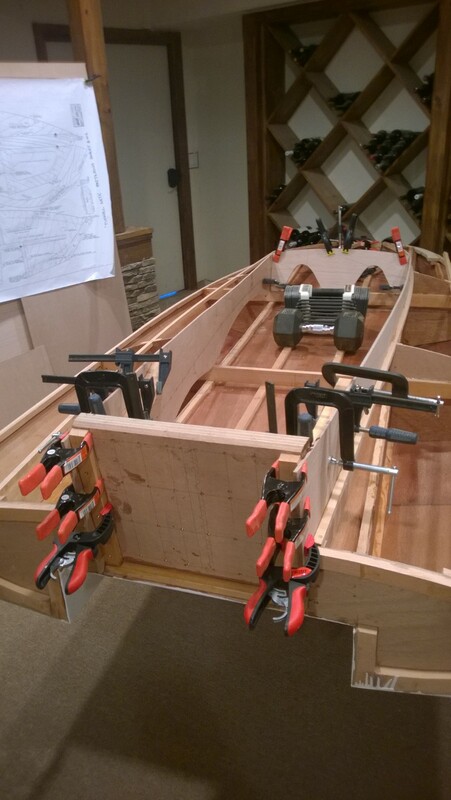 The coaming forms the sides of the cockpit. 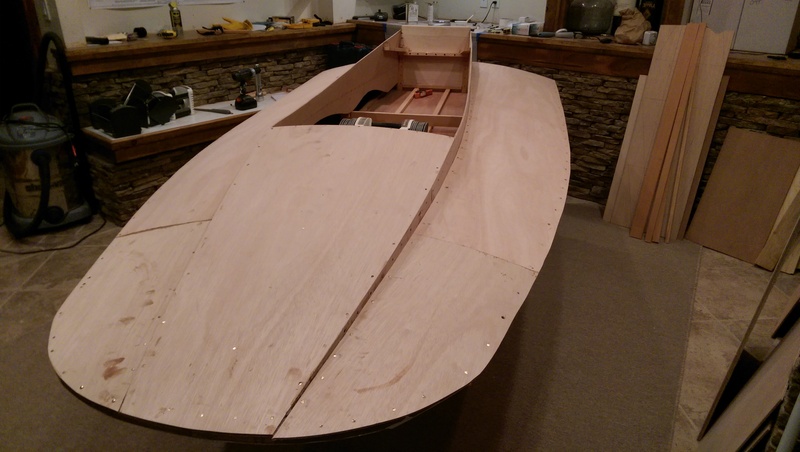 With it installed, you can really start to get a feel for what the boat is going to look like. 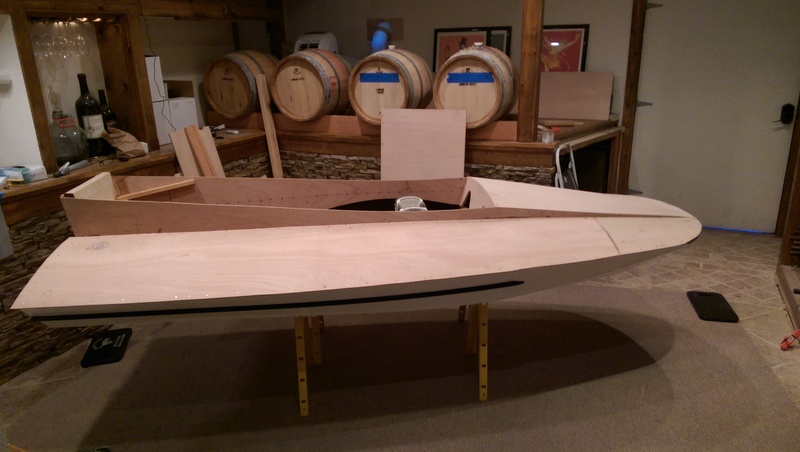 Here I am at my epoxy station getting ready to mix up a batch, along with some pictures of the boat with the carlings installed. Yes, the light is beginning to appear at the end of the tunnel! 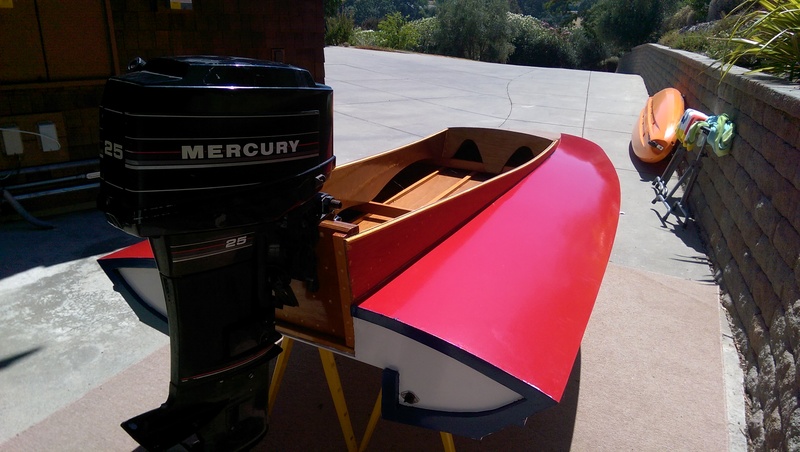 This entry was posted in Boats on October 2, 2014 by John Beekley.